Virovitica, February 23, 2016 – Viro Sugar Factory CEO Željko Zadro, Sladorana Sugar Factory CEO Dražen Robić and Supervisory Board Chairman Marinko Zadro awarded the best sugar beet growers and long term business partners with Golden Sugar Beet Award. Viro Sugar Factory awarded five sugar beet growers and one long term business partner. Belje Company from Darda was awarded as the best subcontractor in the category of producers with more than 1000 ha of farmland. Saboprodukt Company from Karanac was awarded in the category of producers with 50 to 100 ha of farmland, while Zvjezdana Milas received the Golden Sugar Beet in the category of producers with 20 to 50 ha of farmland. Damir Videc is the best subcontractor in the category of producers with farmland from 10 to 20 ha, and in the category of producers with farmland up to 10 ha, the award was given to Miroslav Rukavina. Golden Sugar Beet for successful long term cooperation was given to Slavko Vukšić. Sladorana awarded eight subcontractors and business partners with Golden Sugar Beet Award. 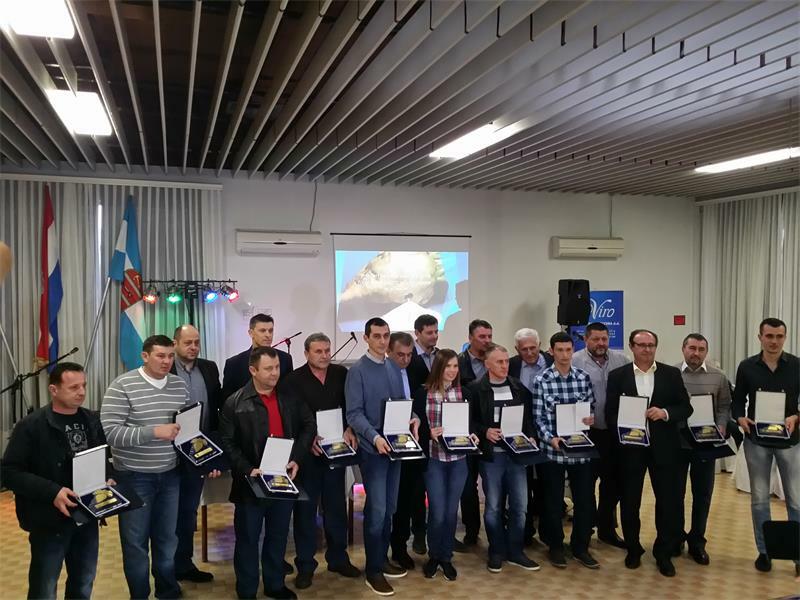 Vupik Company from Vukovar was awarded in the category of producers with farmland larger than 500 ha, while Agro-Tovarnik Company from Tovarnik received the award in the category of producers with farmland from 100 to 500 ha. The best sugar beet grower in the category of producers with farmland from 50 to 100 ha is Arator Company from Lovas. Krunoslav Marjanović received the Golden Sugar Beet in the category of producers with farmland from 20 to 50 ha, and Branko Ničivojević was the best in the category of producers with farmland 10 to 20 ha. The best in the category of producers with farmland up to 10 ha is Božo Dragičević. Agro-Jakšić Company from Slakovci and Stjepan Brčić were awarded as the best long term business partners.